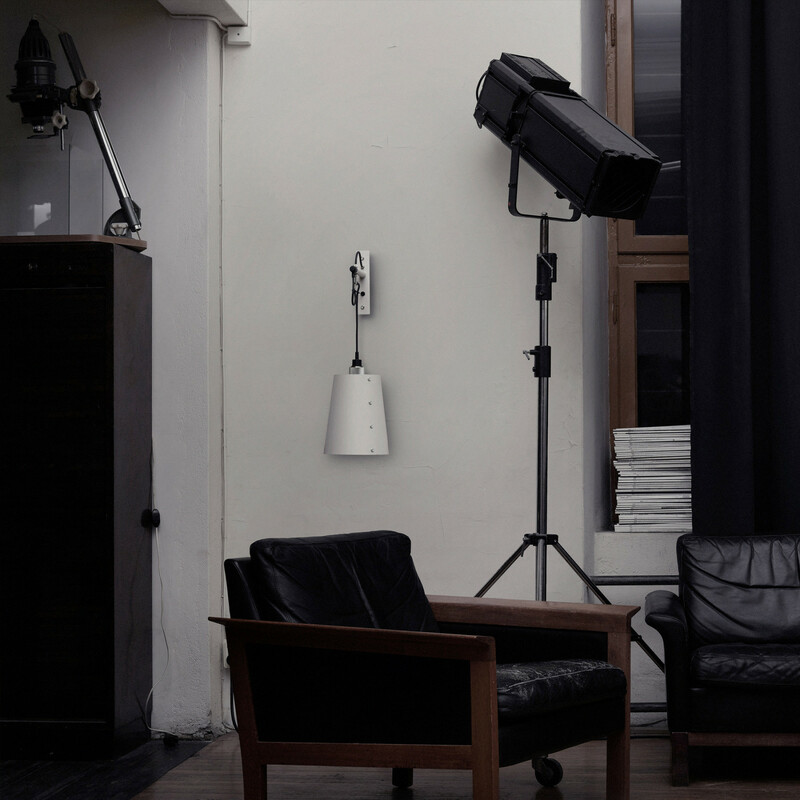 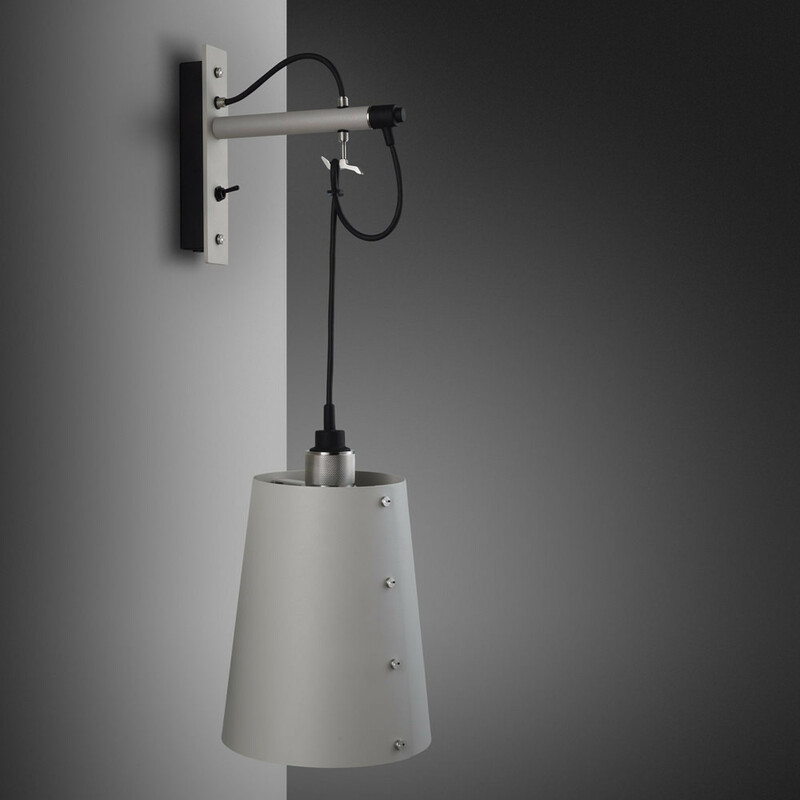 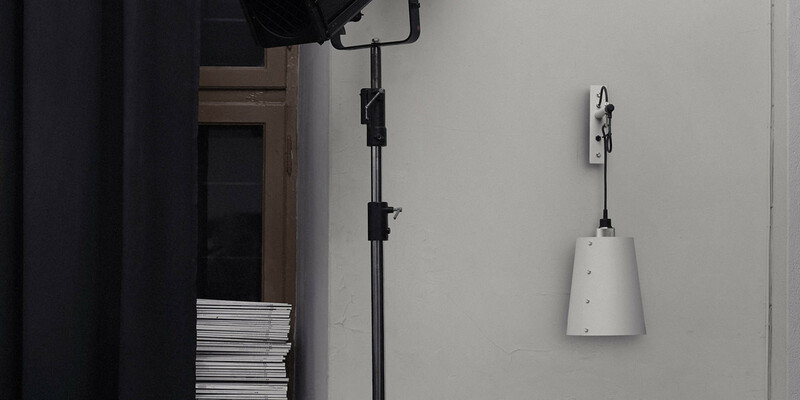 A wall light made from solid metal with matte rubber detailing. The base is finished in STONE powder coating and the pendant is finished in STEEL. 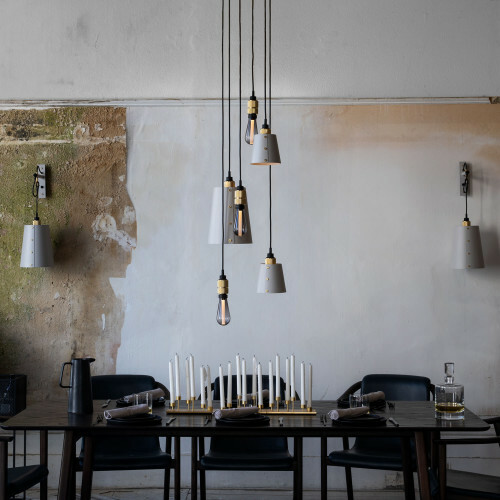 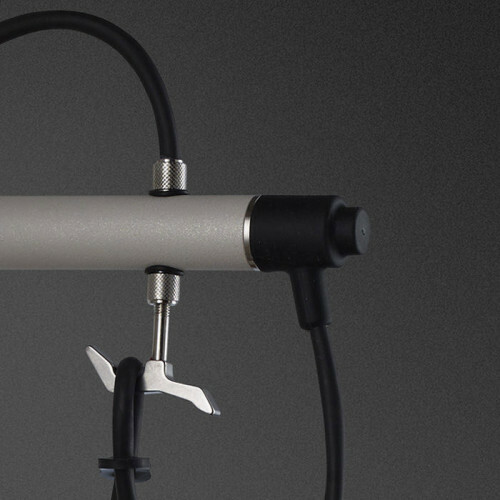 The pendant length can be adjusted to suit and hooked onto a solid metal hook. 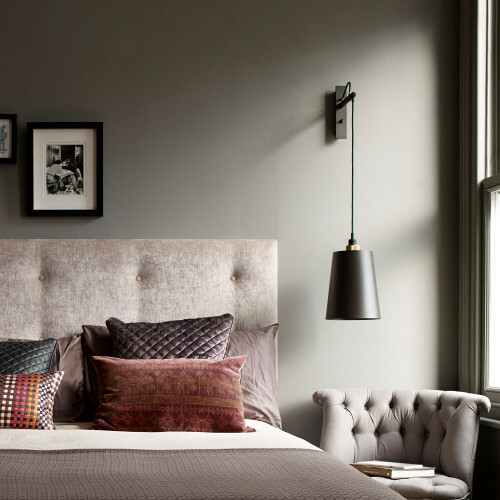 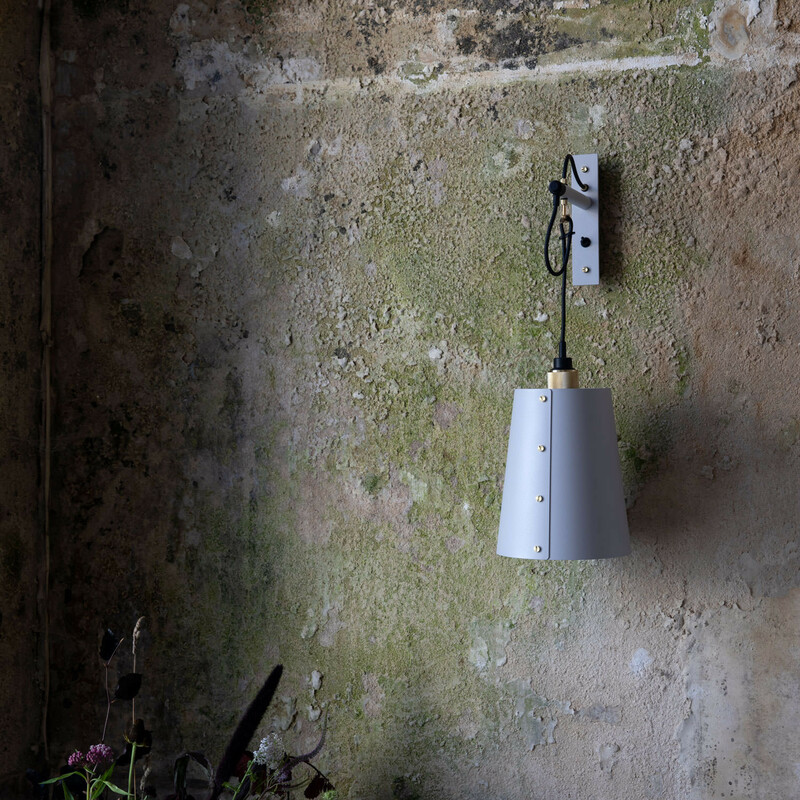 The light comes with a large shade made from steel and finished in STONE powder coating. This light is also available with either a BRASS or SMOKED BRONZE pendant. This light can be hard-wired into the wall or fitted with a surface mounted cable & plug.